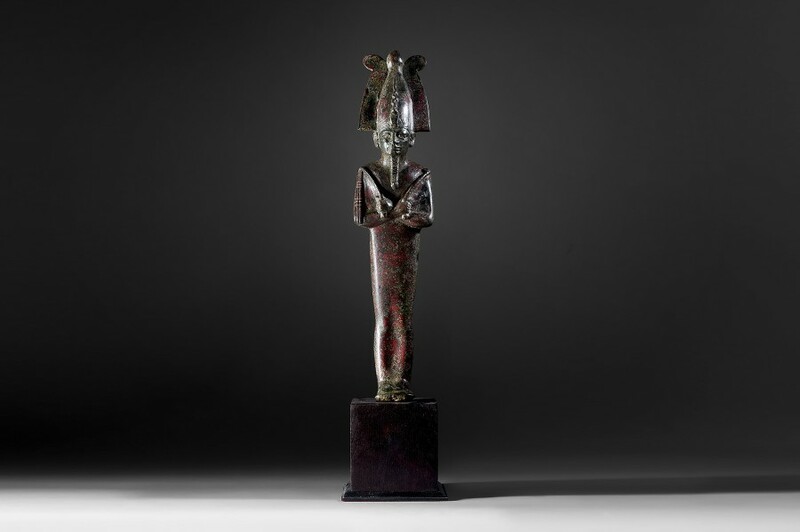 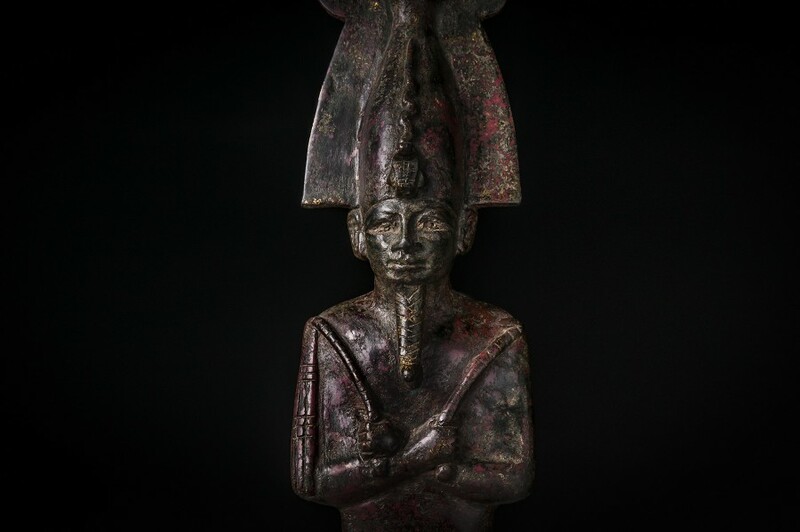 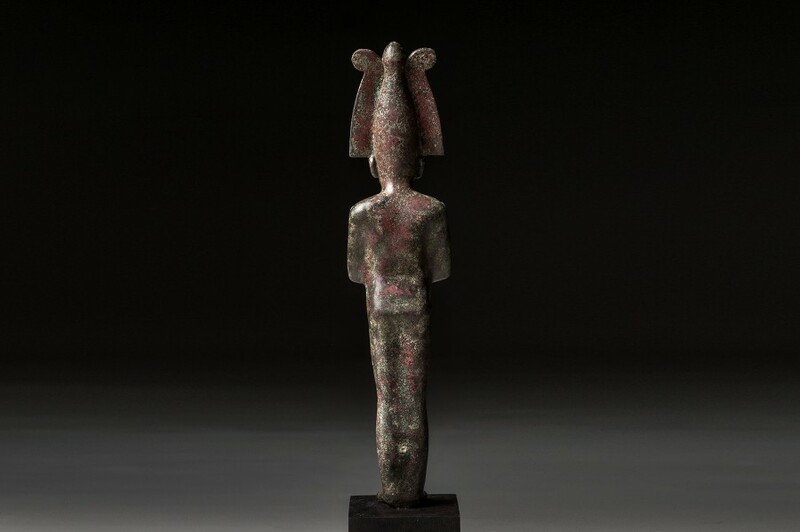 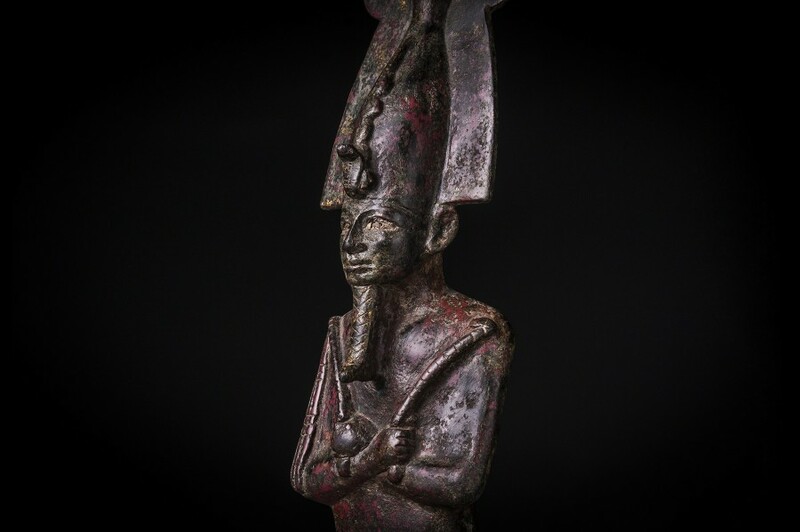 Bronze statuette of Osiris in traditional pose of arms crossed, holding a crook and flail. The body is largely undifferentiated with only simple detailing of the legs and feet. 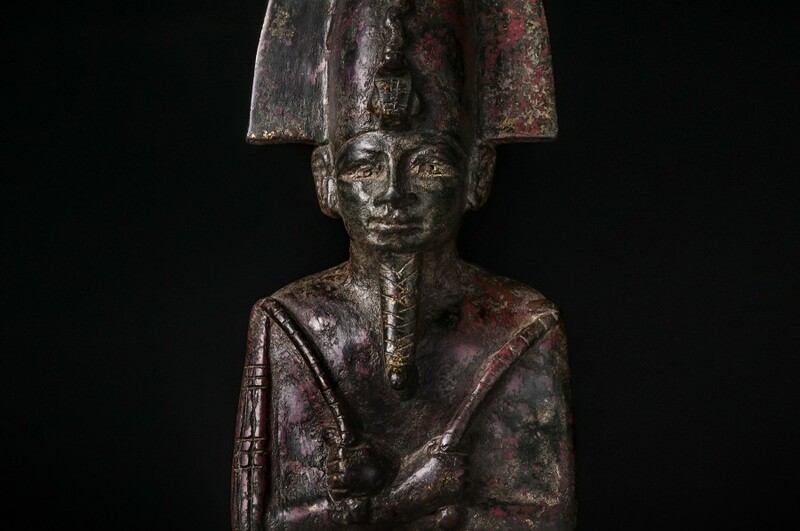 The statuette’s head and face are highly detailed, with the atef crown distinct in its unique shape.